Sky-gazers hoping to witness a total eclipse of the moon last night were left disappointed when thick clouds blocked the rare phenomenon. Enthusiasts were out in force along the Tsim Sha Tsui waterfront, their telescopes, binoculars and long camera lenses trained on the heavens. 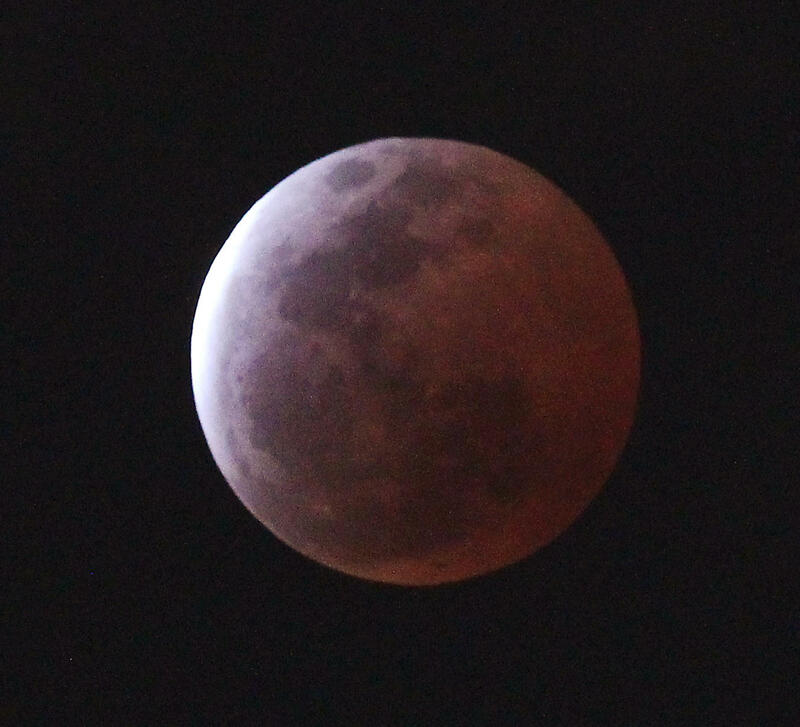 The moon began rising at 6.33pm to the east of the city, but the gloomy weather meant there was nothing much to see when the total eclipse began at 7.54pm and the earth’s shadow completely covered the moon, turning it a rare shade of red. Leo Leung, who brought along his two children to see the 12-minute event, was one of the many left cursing their luck. However, the patient were rewarded, if only briefly. The crowds were given the odd tantalisingly glimpse of the eclipse when on several occasions the clouds parted for a matter of seconds. It was not much of a reward for some spectators who had been waiting for hours, but a few cheers still rang out. And 10-year-old Bosco Lai was more than happy. Last night’s phenomenon was the third episode in a “tetrad eclipse”, 1 of 4 consecutive total lunar eclipses. The first one was on April 15 last year and the last one will be on September 28, although this one will not be visible in Hong Kong. During a total eclipse, the moon does not completely vanish but instead appears dull red in colour. This is the result of the blue part of sunlight being scattered away by the earth’s atmosphere and the remaining red light refracted onto the moon. The duration of the whole process yesterday lasted for 4 hours and 28 minutes, with the total eclipse running to 12 minutes. The last tetrad eclipse occurred from 2003 to 2004 and for the next one, Hongkongers will have to wait until 2032 to 2033.